About: Android multi tools latest version v3.5.9 full setup exe. installer file free download for Windows PC. 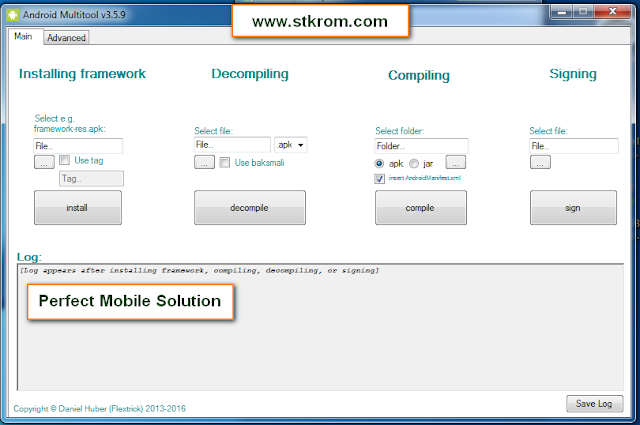 Android Multi Tool is a great tool which makes it easier to decompile/recompile applications+jar framework files. It also offer you to sign in your APK by easily clicking a button. By using this tool you can easily remove or pattern lock on android brand such as Samsung, Qmobile, Nokia, ZTE, Sony, Micromax, Symphony etc. on many Android phones. Please read the following terms and conditions carefully before using Android Multi Tool. Use of this software indicates you accept the terms of this license agreement and warranty. Its latest version is released and available for directly download from our website. If you are interested into download the latest Multi Tool, than simply follow the link given at the bottom. It is free to download and very easy to use. So download and enjoy the new Multi Tool on your PC. Warranty : Android Multi Tool (this software) is provided "as-is" and without warranty of any kind, express, implied or otherwise, including without limitation, any warranty of merchantability or fitness for a particular purpose. In no event shall the author of this software be held liable for data loss, damages, loss of profits or any other kind of loss while using or misusing this software. Note: Although this process is tested on most of the Smartphone but Do the process with your own risk, we are not responsible for any damage happen to the phone, and your success report is welcome, just share your success report using this process through comments. Java must be installed on your computer. .Net framework must be installed on your system. How To Use Android Multi Tool: First of all extract the Android Multi Tool v3.5.9 Zip folder. Remember: It must be extracted on C:\. Otherwise it probably won't work. At first download the Android Multi Tool Latest Version V3.5.9 software. Now you can run Androidmultitool.exe. Then Select your Framework-res.apk and push the “install” button. Decompiling and recompiling apk files can be done by this multi tool, how it can be use described. At first select the apk you want to mod/decompile and push the “decompile” button. Then you decompiled apk will be located in C:\ drive as a folder. If you can to compile your apk again, select your decompiled folder, check the “apk” radio button and compile it again. Your recompile apk will be located in C: / drive. First select the combo box “jar”. Select the “jar” file you want to mod. Your decompiled jar file will be located in C:\ drive. Your recompiling you have to check the “jar” and select the folder within your decompiled “jar” file. Your compile jar will be locate on local disk C:\ drive. Delete the “classes.dex” file in your “jar” file. With this multi tool, all phones of Android version you can be unlock and remove easily. If you want to unlock or remove a file or folder this tool, although connect the PC via to the USB cable. This is android better tools that unlock the android devices locked pattern in few seconds. You can unlock the android lock device through this tool or if you forget your android mobile pattern unfortunately still don’t worry you can remove it in your forgeable pattern in few minutes. It is free to download and enjoy the new multi tool on your PC. Installed java on your PC. Installed .NET framework on your system. 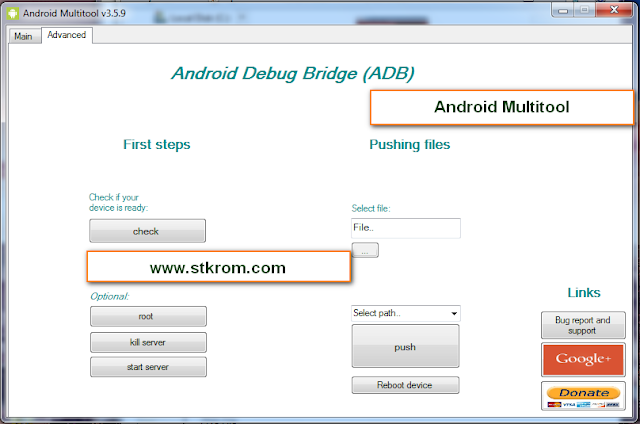 Android Multi Tool Latest Version V3.5.9 you can free to download and easily to use. Supporting for all android device. You can android lock remove. License: Android Multi Tool is freeware Utility Tool . You may try it free for always. Copyright (C): Android Multi Tool All rights reserved.